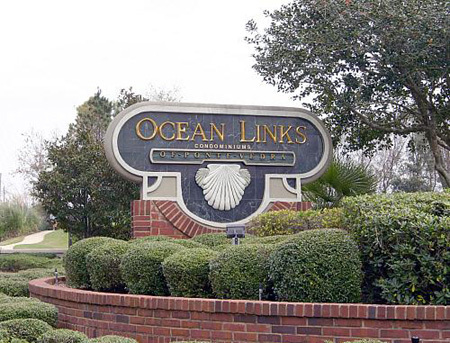 Ocean Links condominiums in Ponte Vedra Beach, Florida. Ocean Links of Ponte Vedra is a gated condominium community located in desirable Ponte Vedra Beach. Built in 1992, Ocean Links offers its residences spectacular views of the lake and golf course. Amenities include clubhouse, pool, fitness center, tennis court, playground, and car care center. The community is near shopping, fine dining restaurants, and the Beaches. Enjoy the beach lifestyle of fun, sun, ocean breezes, and the sound of crashing waves. Ponte Vedra Beach offers the best of Florida living with miles of white sandy beaches and mild seasonal changes. Three expressways provide easy access to Jacksonville for business, shopping and entertainment. Friendly, laid-back lifestyle where standard attire is shorts, sandals and a smile. Ponte Vedra is home to The Players Championship, world class golf courses, resorts and multi-million dollar estates. Semi-tropical climate with breezy summers, pleasant winters, perfect springs and falls.